Nobody ever accused the Old Crow Medicine Show of being a bunch of phonies. Drawing from a bottomless pit of energy and smiling all along, this modern folk acoustic experiment branded the music world with their old-time Americana beginning with 2004's superb O.C.M.S. With perfect focus, they plug the listener into their hand-blown tales of the new/old South. In terms of subject matter, think Bill Monroe meets Drive By Truckers. After lighting off the mid '00's Folkgrass revival with their debut, they rode a wave through 2006's superb Big Iron World. On those first two albums, we hear a band of telepathically-linked troubadours gathered around, and pouring their full souls into, a single microphone stand. The days of busking on the sidewalks of Boone were never far behind, until now. 2008's Tennessee Pusher represented a welcome change of pace. The raw material of the early output was there, but in a more refined form imposed by producer Don Was. Sprinkles of electric instrumentation added a charge to the presentation. More serious themes (addiction and assassination) were interspersed with their typical tongue-in-cheek bootlegger comic book material. Pusher hummed. A four-year break in recorded material followed while the band toured tirelessly. By August of 2011, burnout set in and Old Crow went on hiatus. The big shock to the system came in early 2012 with the news that Willie Watson was out of the lineup. [Sigh.] While Ketch Secor is rightfully the Captain of this ship, Watson was the unshakable First Mate. The Wee One's pristine wail vividly painted essential early material such as "Tear it Down" and "Down Home Girl." 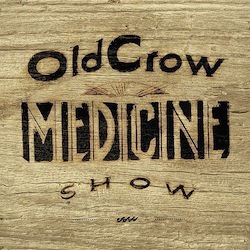 Enter Old Crow's fourth studio effort, the listenable but unspectacular Carry Me Back. The post-Watson era finds a band less willing to take risks. The synergistic fire of the early records is diffused, an apparent a result of our troubadours being sent into separate foam-padded rooms with their instruments during recording instead of playing as one. What you hear are highly-competent professionals playing it safe. Opener "Carry Me Back" is rollicking folkgrass, but misses the spitfire of Pusher's "Alabama High-Test." Album co-highlight "We Don't Grow Tobacco" is about the only number that would find itself at home on O.C.M.S. "Bootlegger's Boy" and "Mississippi Saturday Night" are competent but strain thematically, leading the educated listener to long for the simplicity of Big Iron's "New Virginia Creeper." Even the slow numbers fail to fully connect. Carry Me Back's "Levi" is a simple cousin of Big Iron's "James River Blues" and "Ain't it Enough" is a less-earnest stepsister to "I Hear Them All." Pardon the comparisons, but they are hard to escape when listening to the mighty Medicine Show play it too close to the vest. While Watson's departure leaves the manic energy of the earlier albums in short supply, the re-introduction of original DNA in the form of Critter Fuqua and new blood in the form of Chance McCoy is welcome. Fuqua's "Sewanee Mountain Catfight" is a back-to-basics energy flash that propels the back half of the album. McCoy's co-highlight, "Genevieve," is stirring country, if slightly out of place in this context. Carry Me Back reaches for the past indeed, just not quite far enough.